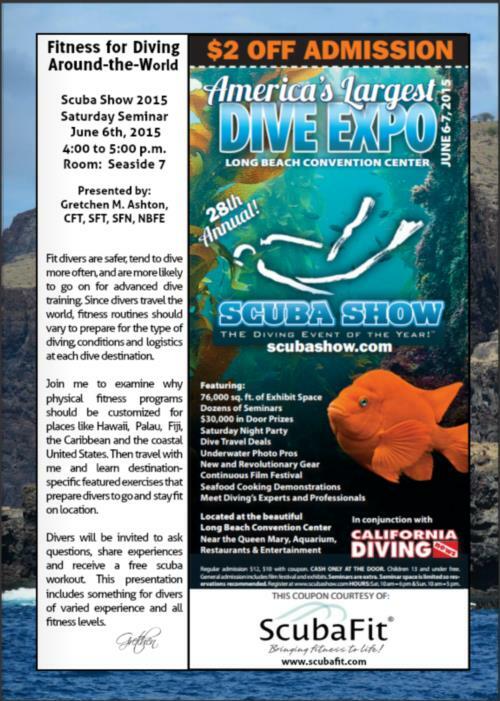 Gretchen M. Ashton, CFT, SFT, SFN, NBFE, founder of ScubaFit® and co-author of the ScubaFit® Diver Course which is also approved as the PADI ScubaFit® Diver Distinctive Specialty, is presenting at the Scuba Show on Saturday, June 6th, 2015 from 4:00 to 5:00 p.m. in Seaside Room 7. Use this coupom for a discount on entry to the show and attend "Fitness Considerations for Diving Around-the-World". 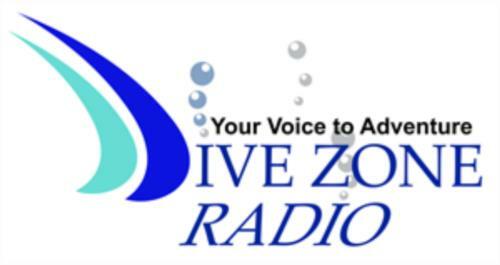 Join Gretchen to examine why physical fitness programs should be customized for places like Hawaii, Palau, Fiji, the Caribbean and the coastal United States. Then travel with me and learn destination-specific featured exercises that prepare divers to go and stay fit on location.